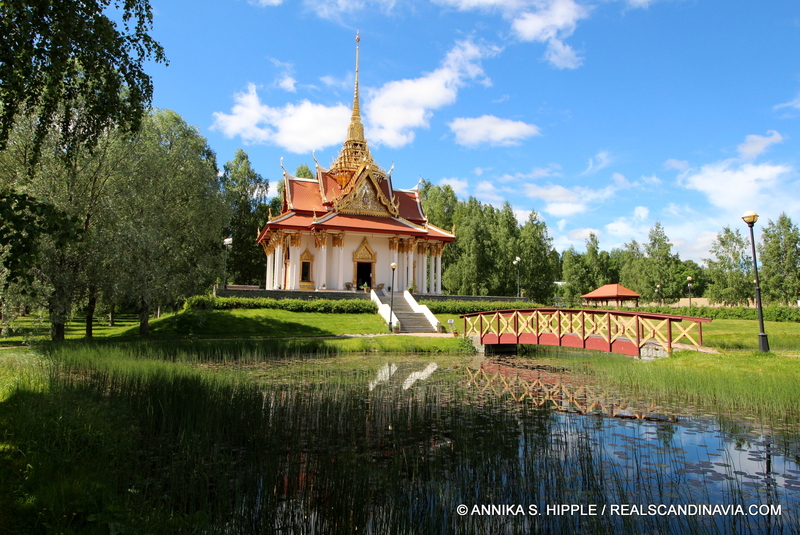 Deep in the countryside of Jämtland stands a surprising structure: an authentic Thai pavilion. The story of how this incongruous structure came to be built among the forests and fields of north-central Sweden dates back to the late 19th century and the connection between two monarchs from very different countries. 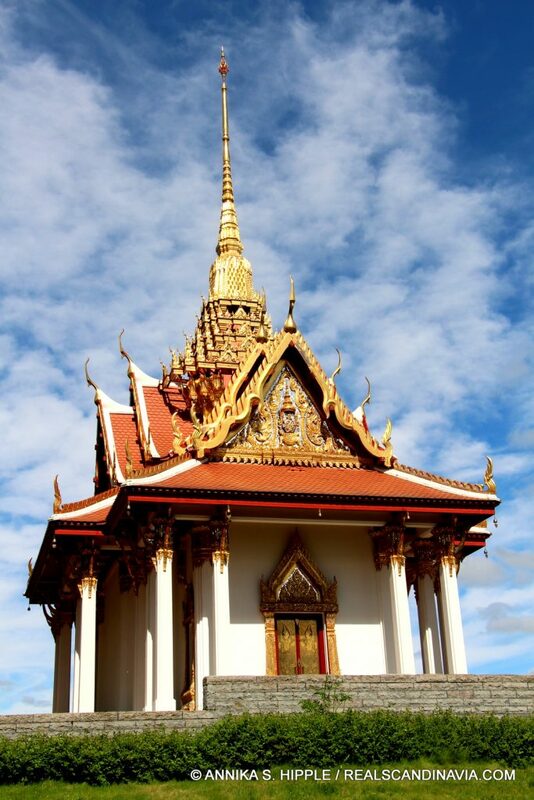 The Thai Pavilion was built in honor of Chulalongkorn, King of Siam (now Thailand) from October 1868 to October 1910. Chulalongkorn came to the throne at the age of 15, following the death of his father, King Mongkut, who had ensured that his heir received an excellent education to enable him to withstand colonization by the various Western powers vying for control of southeast Asia. 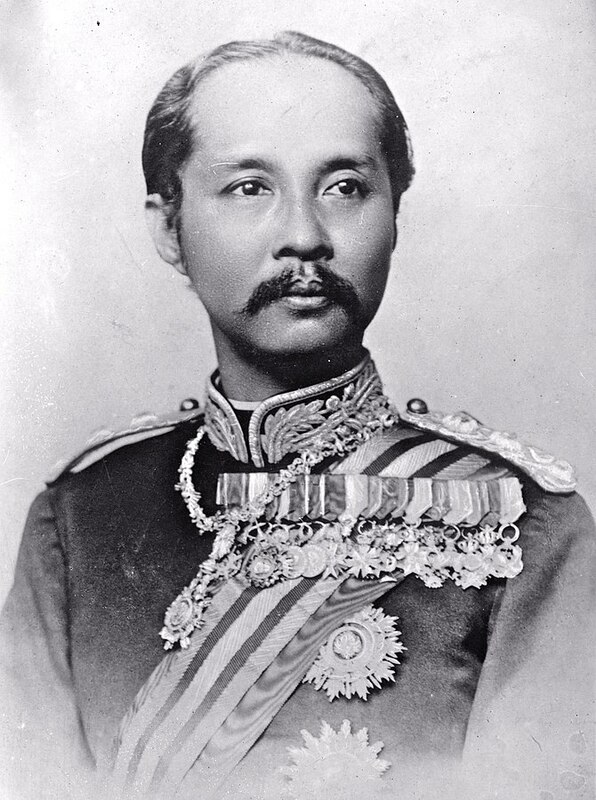 Chulalongkorn, whose official name as king was Rama V, implemented numerous modernizing reforms and sought to gain European recognition of Siam as a fully sovereign nation. In 1897 he became the first Siamese monarch to visit Europe, touring Italy, Switzerland, Poland, and Russia before setting sail from Peterhof Palace outside St. Petersburg on the 11th of July, bound for Sweden. Oscar II, King of Sweden and Norway, had invited Chulalongkorn to visit the General Art and Industrial Exposition in Stockholm, part of the festivities marking the 25th anniversary of Oscar’s ascension to the throne. Chulalongkorn arrived on 13 July 1897 and spent three days in the Swedish capital touring the exposition and other sights, often together with Oscar. During his stay, Chulalongkorn hosted a dinner on board his royal yacht, Maha Chakri, at which King Oscar gave a speech expressing his pleasure at the Siamese king’s visit and the way it had strengthened ties between the two countries. 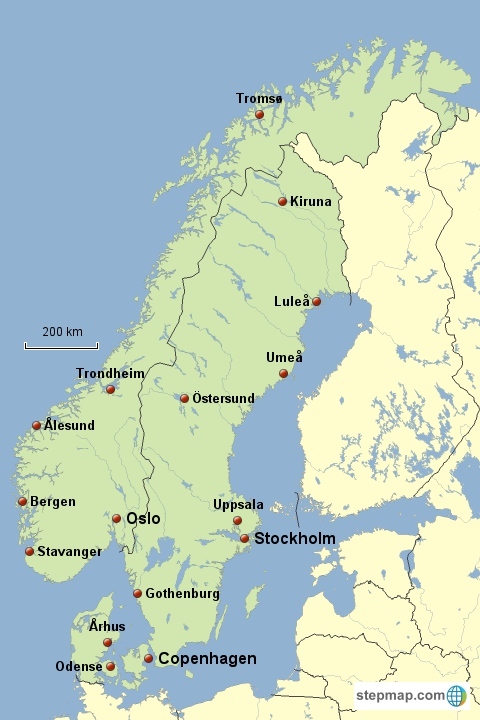 King Oscar was also eager for Chulalongkorn to experience other parts of Sweden and suggested a few different destinations. 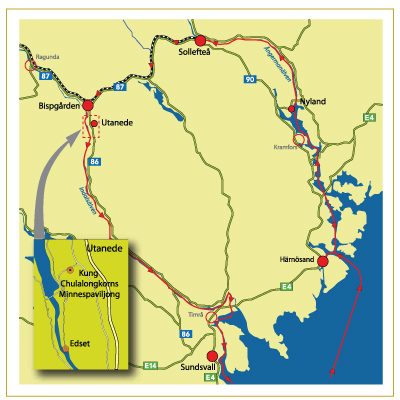 Since his own country, Siam, had extensive forest resources, Chulalongkorn was interested in learning about the Swedish timber industry and opted to visit southeastern Norrland, an area with many sawmills and major rivers used for floating timber. He sailed north on the Maha Chakri along the Baltic coast to Härnösand, then traveled by steamboat along the Ångermanälven river to Sollefteå, where he stayed overnight. The next day, 19 July, Chulalongkorn and his entourage, which included three of his sons, traveled overland through the beautiful Ragunda Valley, stopping for lunch at Bispgården before continuing to Utanede, where the king’s party boarded the first of several steamers that would carry them in stages down the river Indalsälven back to the coast. Everywhere the king traveled, locals lined the roadside and the riverbanks, waving, cheering, and tossing flowers in welcome. On the last stage of the journey, an entire fleet of boats escorted the king back to his royal yacht in Sundsvall. FIfty years later, the dusty road along which Chulalongkorn had traveled was upgraded and renamed King Chulalongkorn’s Road (Kung Chulalongkorns väg). In 1992, a Thai dance group visited Sweden and learned that there was a road named after one of their country’s most beloved kings. They visited Utanede and brought back some small stones and the idea of creating a memorial to commemorate Chulalongkorn’s Swedish visit. 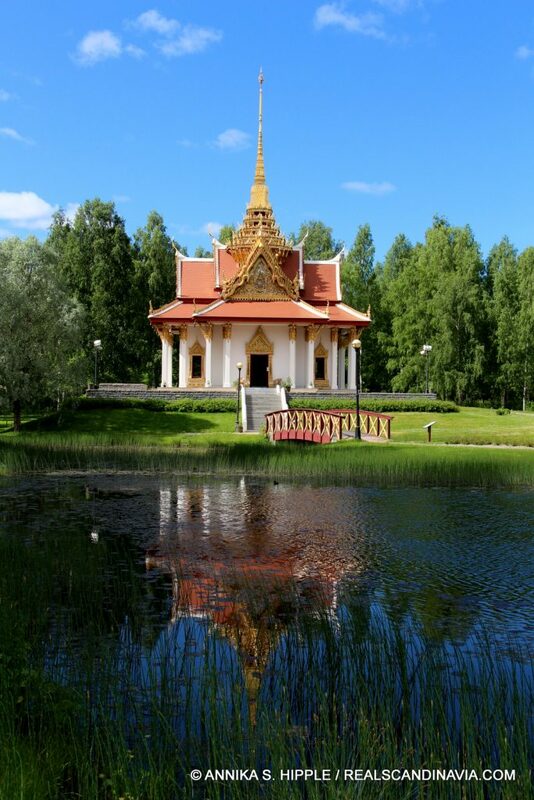 A committee was formed with both Thai and Swedish members, and over the next several years, a plan came together to erect a traditional Thai pavilion at Utanede in memory of Chulalongkorn. Construction began in 1997, exactly a century after the king’s visit, and the pavilion was inaugurated the following year, on 19 July, the 101st anniversary of Chulalongkorn’s stop in Utanede. 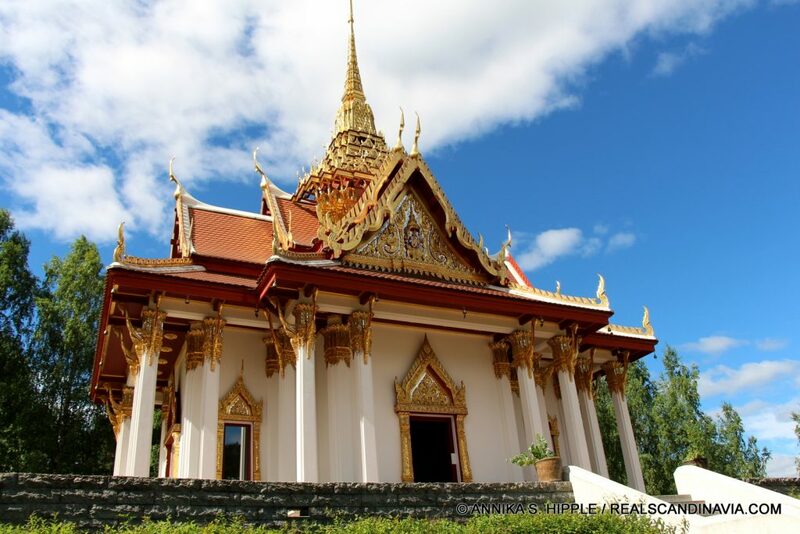 Officially known as the King Chulalongkorn Memorial Building, the pavilion is the only one of its kind outside Thailand and represents the close ties that have developed between Sweden and Thailand since the king’s visit. Its construction was a true collaboration, with funding for the project coming from sponsors and fundraising campaigns in both countries. Swedish firms managed the construction, which had to be adapted to withstand cold, snowy northern winters. 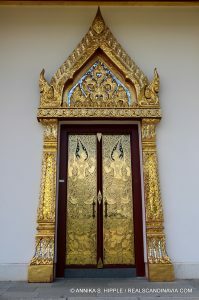 Artisans from the Thai royal court were responsible for the decorations, including the gold leaf that adorns the five-story spire. 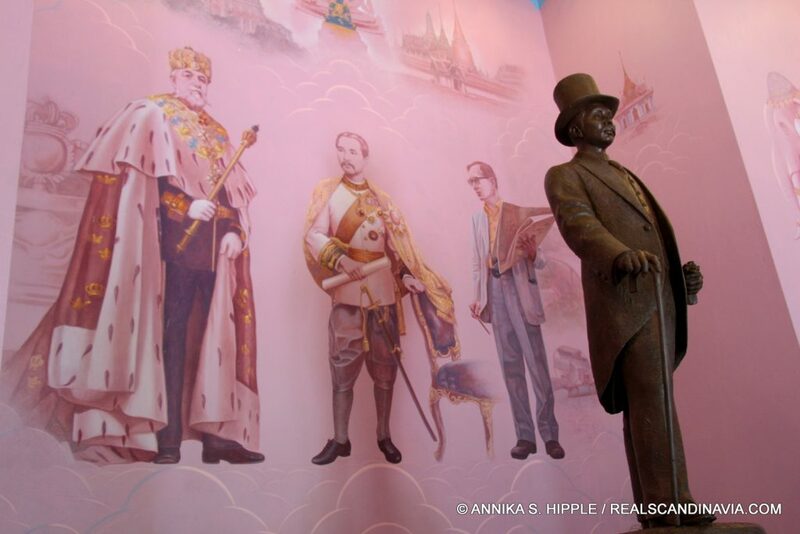 Inside the pavilion stands a life-sized bronze statue of King Chulalongkorn, in front of a wall painting of Oscar II, Chulalongkorn, and Bhumibol Adulyadej, a grandson of Chulalongkorn and King of Thailand at the time the pavilion was built. Since Chulalongkorn was born on a Tuesday, the interior walls of the pavilion are painted pink, the color associated with that day of the week in Thai tradition. The pavilion is set in a park beside a small pond. Visitors are welcome to wander at leisure, but guides are available, as is a recorded tour. 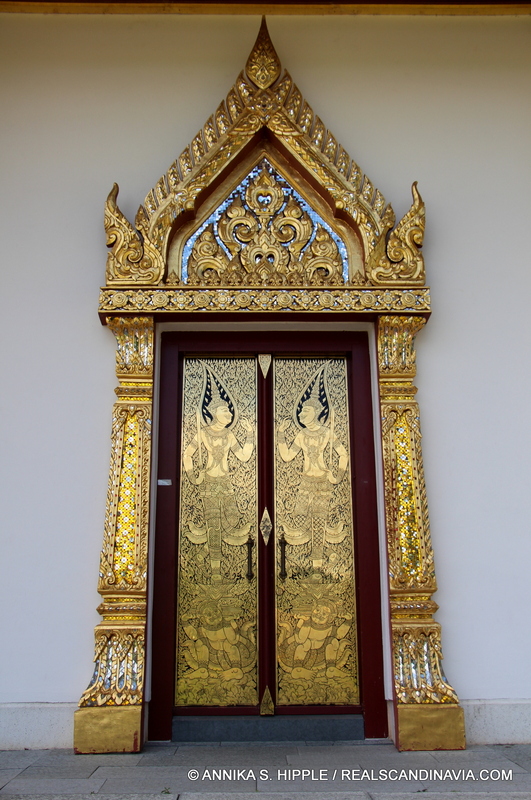 There’s also a cultural building with information about King Chulalongkorn, Thailand, and the building of the pavilion. For current admission fees and additional information, please visit the websites of the Thai Pavilion and Ragunda Municipality.